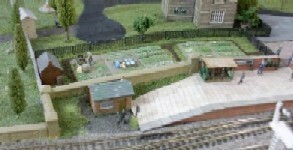 photos of our model in use at shows or on the customer's layouts. 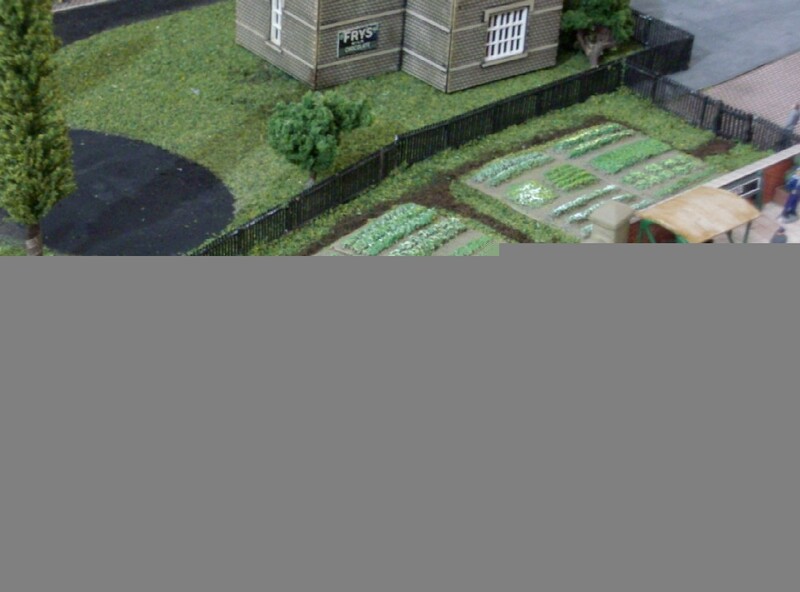 Please click on the thumbnail to view a larger picture. 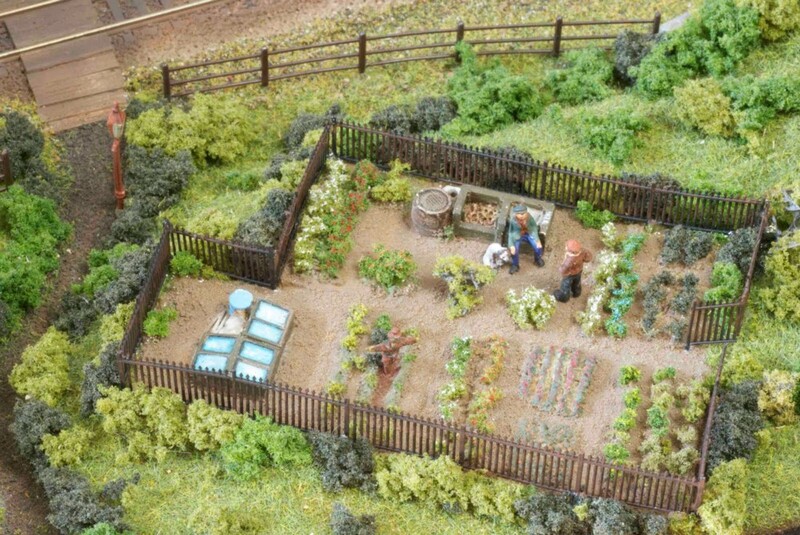 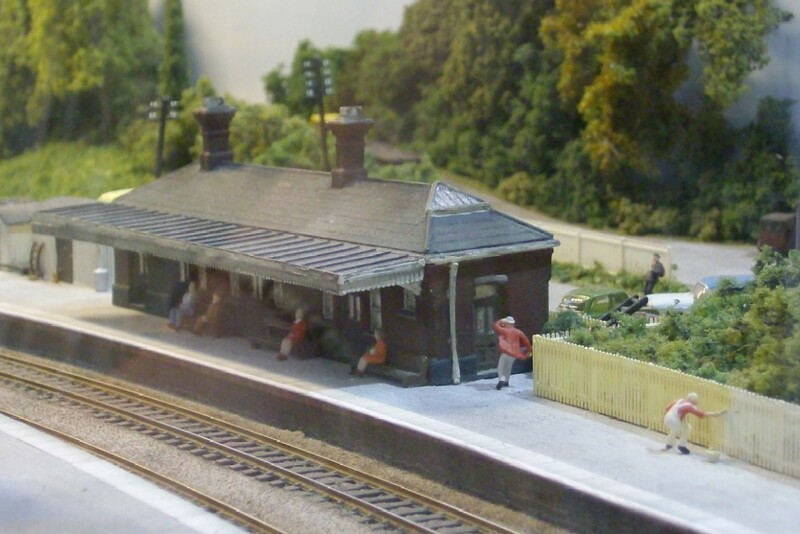 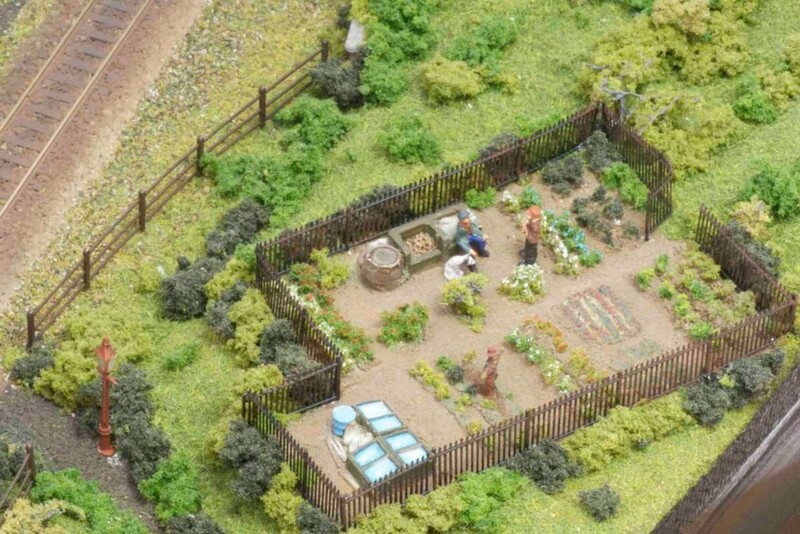 We recently spotted some of our allotment models in use on a small N Scale layout by George Dent. 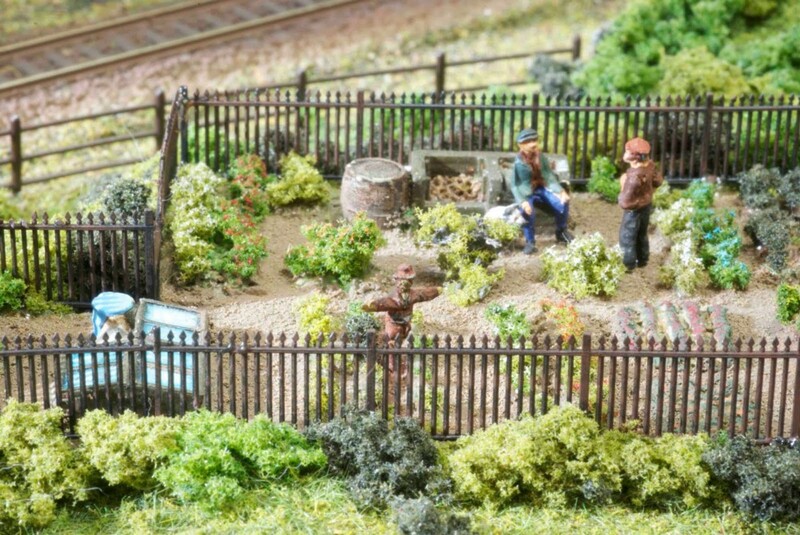 George, who incidentally is the modelmaker for Model Rail Magazine, had modified our models to include extra foliage and vegetation, plus a couple of gardeners and a rather spiffing little scarecrow. 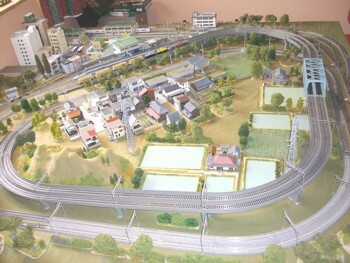 The brief for this model was to design a small Japanese rural plant nursery for an N scale Japanese outline layout. The customer's layout is not a permanent setup but makes use of the KATO track system to be set up when required and packed away when not in use. 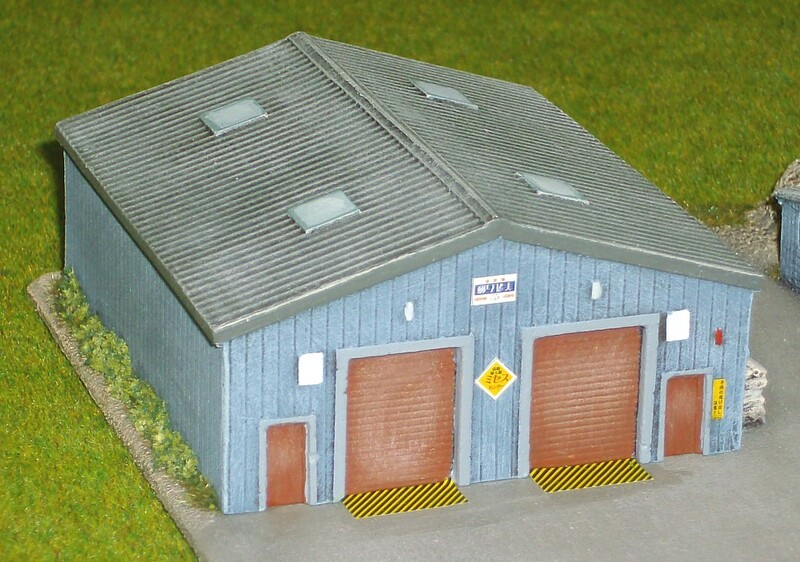 The scenery is based on modules which can also be packed away for storage. 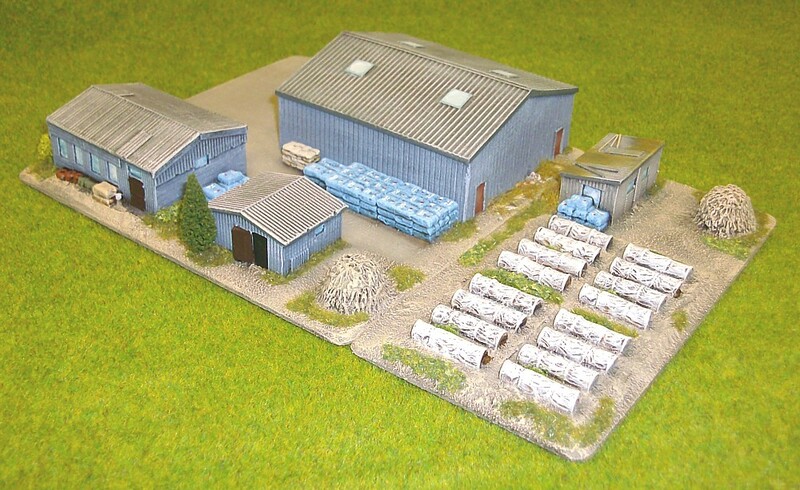 Just to make things interesting the customer wanted the model divided into sections so they could be rearranged in a variety of different positions! 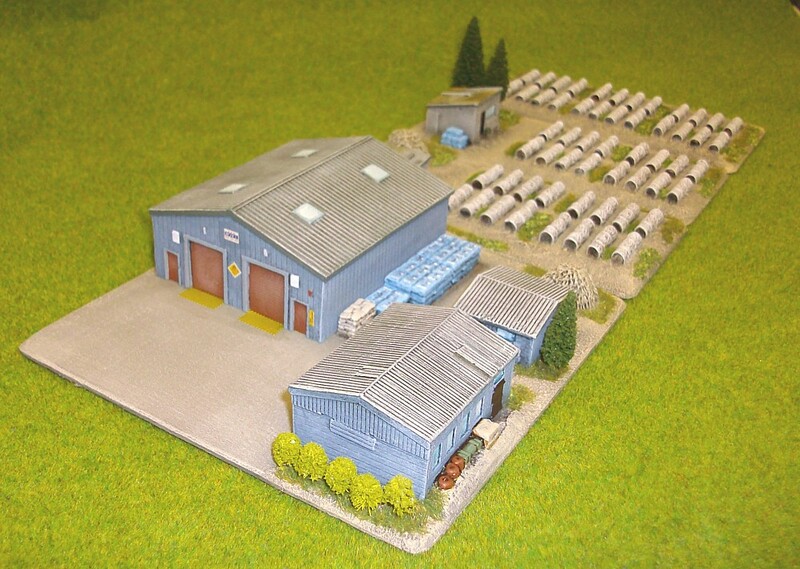 The modules, based on 2mm MDF, used a variety of scenics and buildings from our N scale ranges. 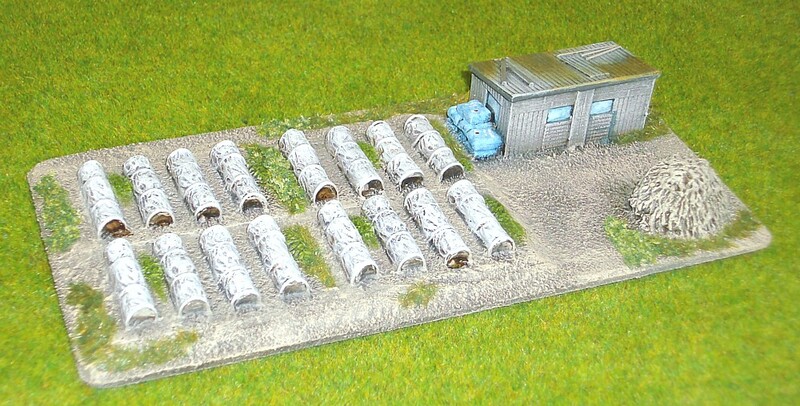 The plastic polytunnels and main building are from our N Scale model railway ranges while the smaller sheds and shacks are from our 10mm (1:150) Vietnam and SE Asian range (Range 29). 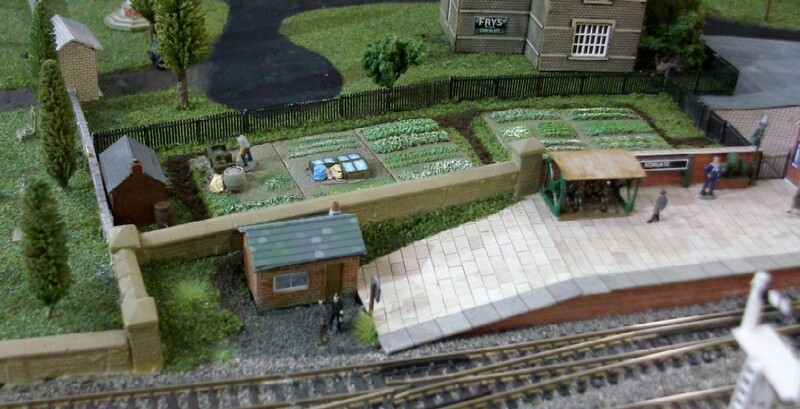 The layout features our GWR Country Station (NB3) and GWR Iron Huts (NB5) in a nice rural setting. 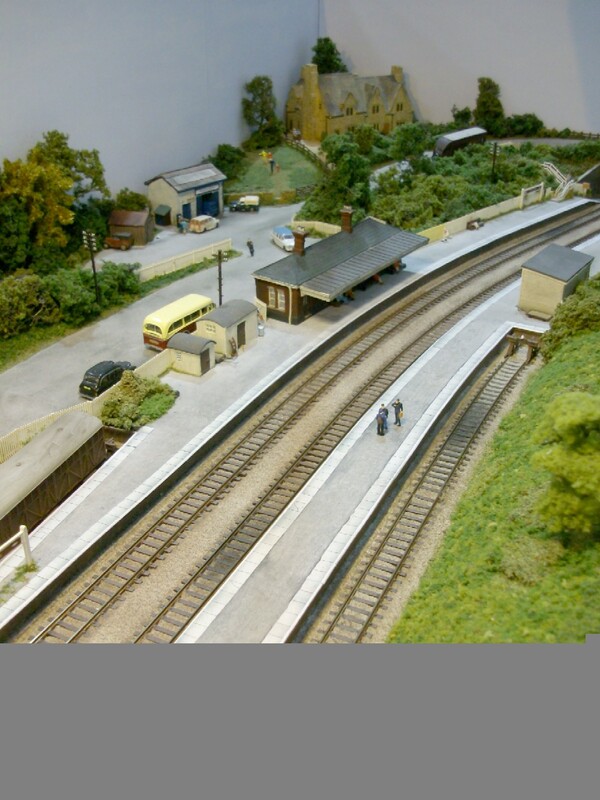 The photos were taken at the 2010 N Scale Society annual show. 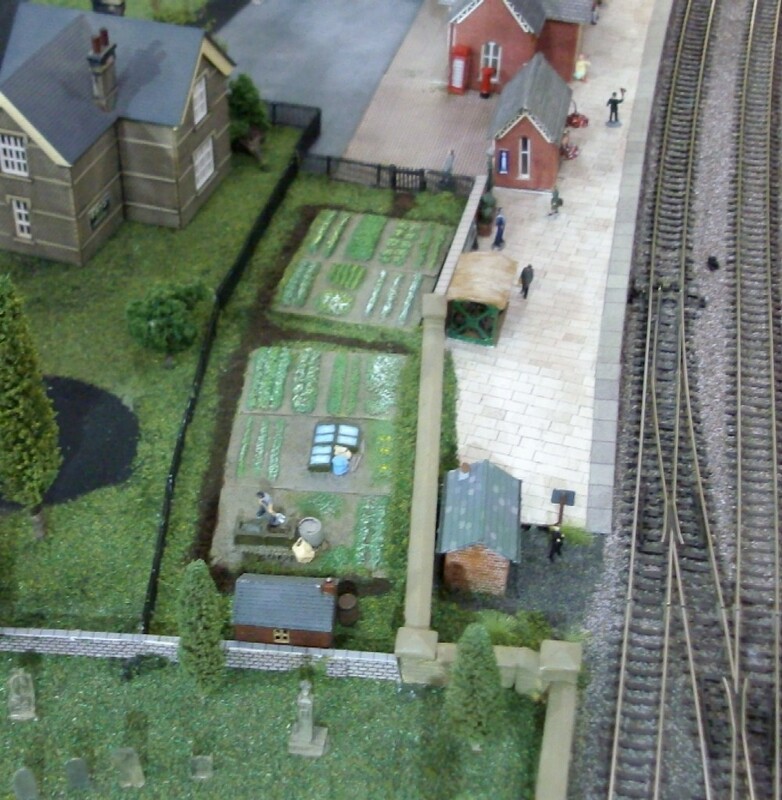 Thanks to David for permission to show his layout on our web site. 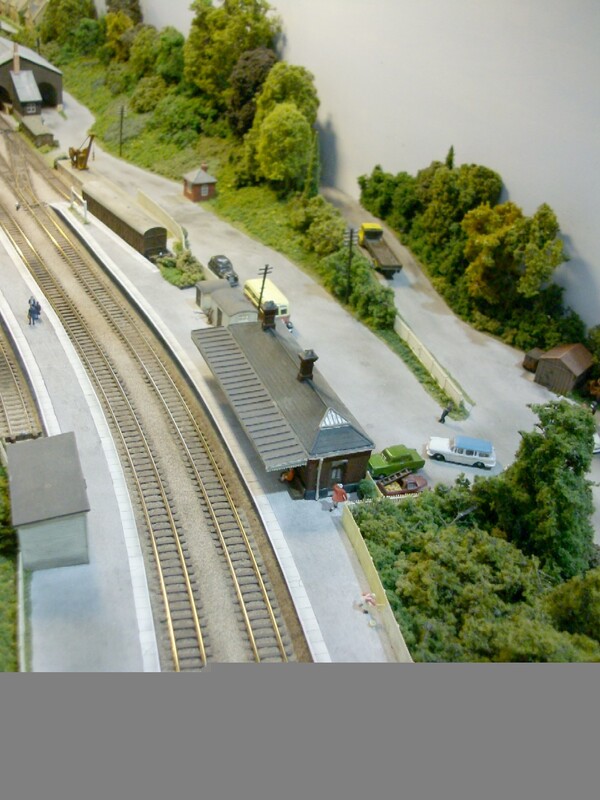 Incidentally, for those who have never been to the show it is well worth a visit - lots to see, nice venue and lots of traders (like us) to tempt you with new goodies! 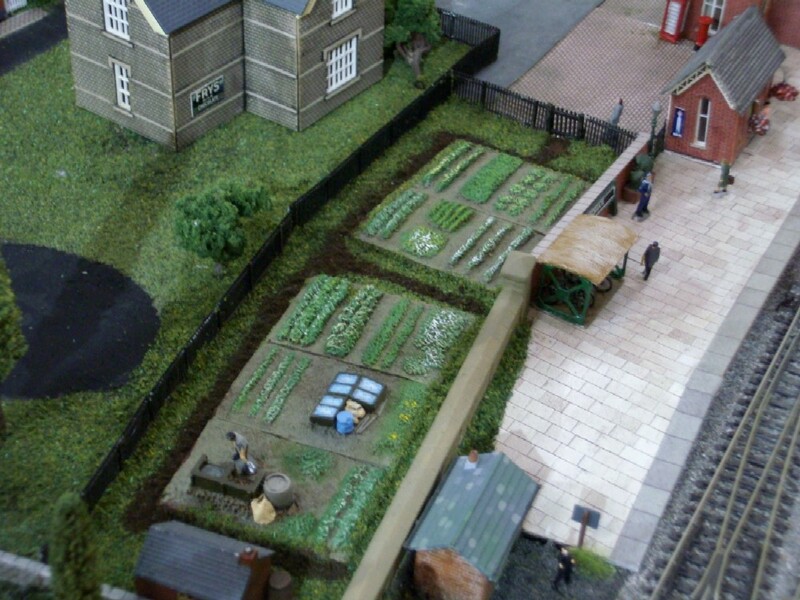 This layout, set in the period between the 1930-1960's, features some of our Allotment pieces. 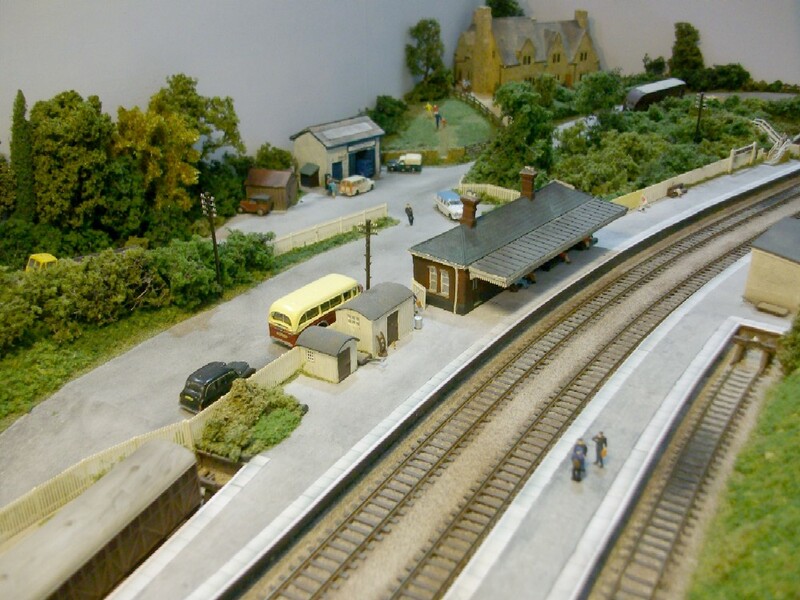 The photos were taken at the 2010 N Scale Society annual show. 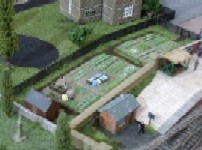 Thanks to Tim Page for the photos.